Blues icon Johnny Winter starts a three-week residency at B.B. King's. 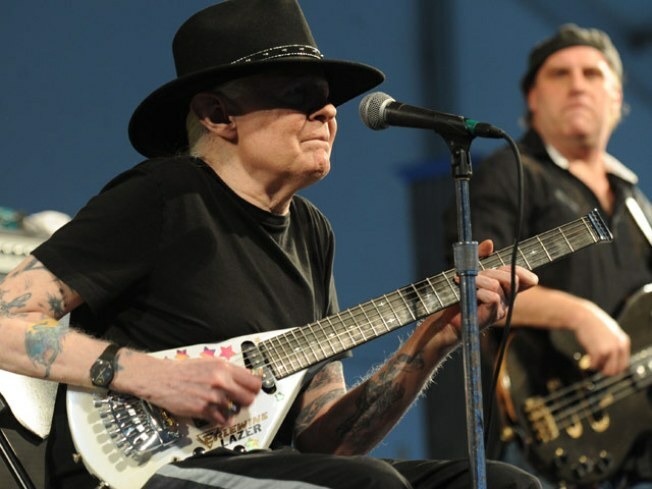 JOHNNY BE GOOD: Ink-sporting, gee-tar shredding, Texas blues-rock virtuoso Johnny Winter has to play sitting down these days – kind of how Ella Fitzgerald was parked in a chair for her final concerts – but his way with the blues is no less down and dirty for it. He kicks off a three-week residency at B.B. King’s tonight, with rabble-rouser Popa Chubby opening. 8PM. HELLO, DOLLY: Some might argue that Dolly Parton already gives off a whiff of drag queen (and we have no doubt she’d be flattered by that), so when trans performer Our Lady J presents the third annual Gospel of Dolly show at Joe’s Pub – a celebration of Parton’s gospel oeuvre, featuring the Train-to-Kill Gospel Choir – it’s all very meta, somehow. 7:30, 9:30PM.